Wireless charging is coming sooner than expected! Being able to charge your smart devices wireless would still be considered a luxury as of now, but soon it will become a standard method of charging your phone as it removes the need for charging cables which could be a hassle, if no one around you uses the same type of charging cable. 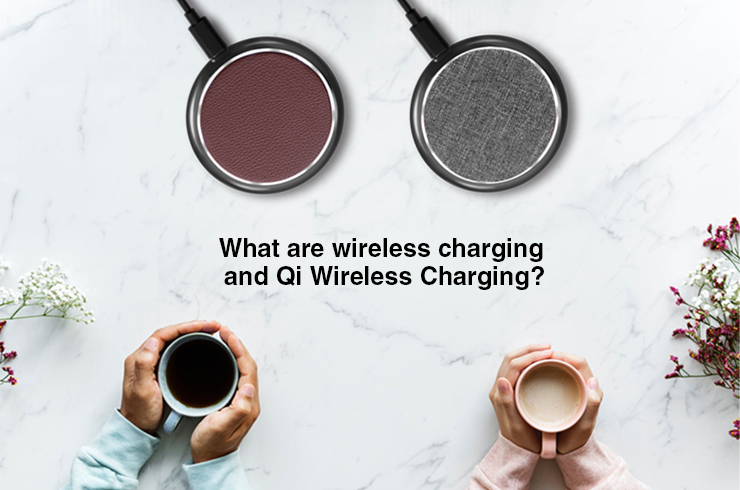 The wireless charging function, officially called Qi wireless charging is a global standard for charging smart devices wirelessly as define by the Wireless Power Consortium (WPC). 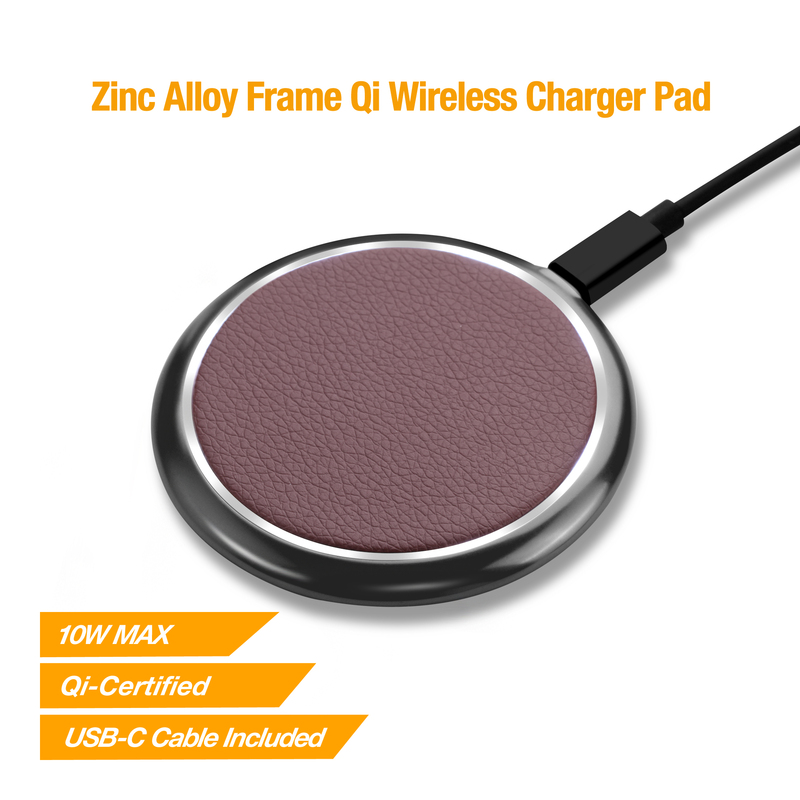 Members of the WPC believe that a Qi charging solution is not only universal but will not need constant updates or replacement, and providing a reliable source of wireless power in the long run. How do I begin with wireless charging? 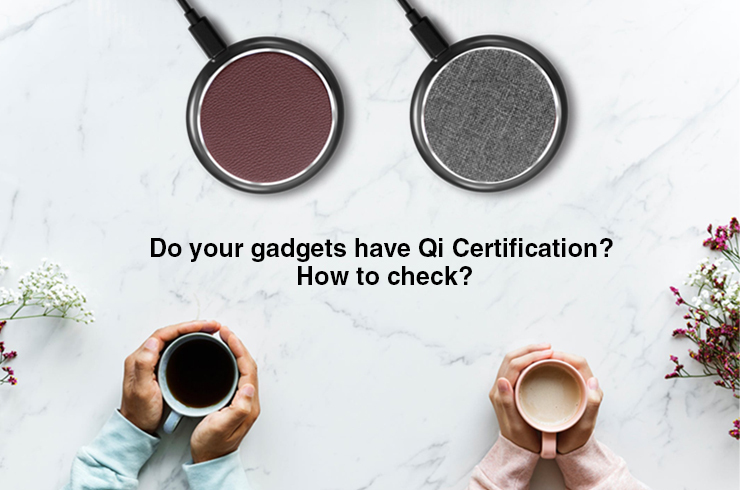 If it all sounds great to you, you’ll have to first make sure your smart device supports the Qi Wireless Charging feature then look for a Qi Wireless Charger. 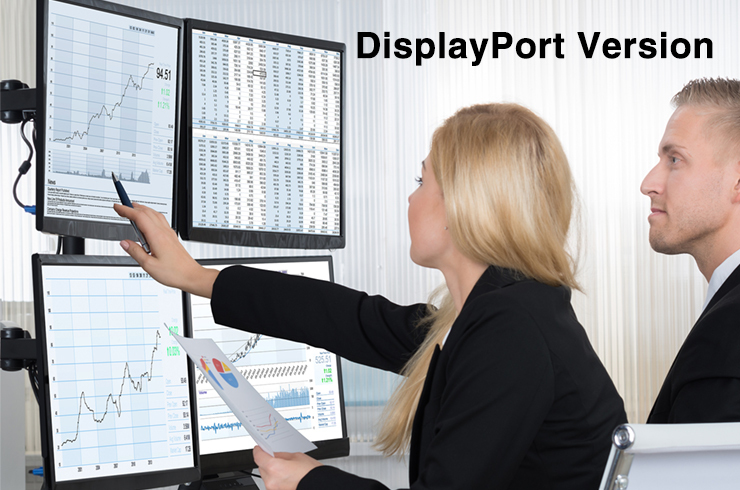 These chargers can come in all sorts of form factors such as a pad, stand, dock, mat or organizer. 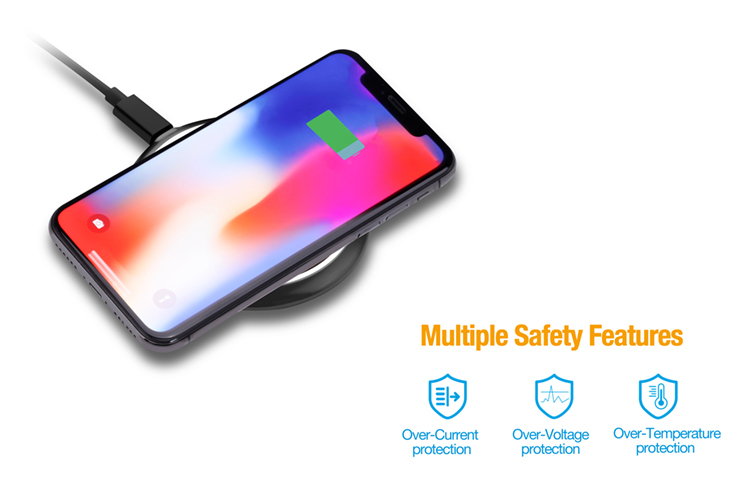 What’s even better is that some can also support charging multiple wireless devices and these depend on the number of coils the wireless charger has. 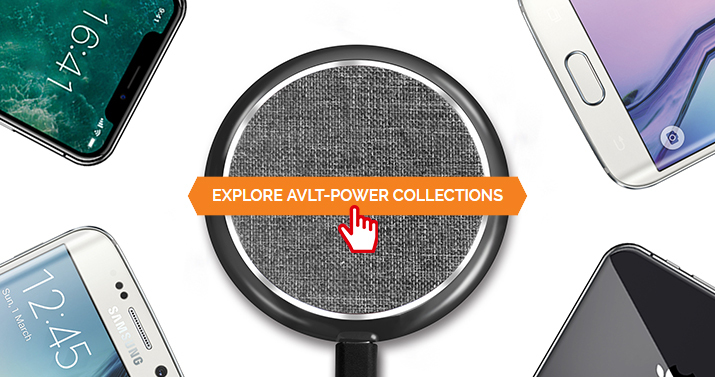 I found a wireless charger but which watt should I pick? You’ll need to make sure your device is able to accept all the charge delivered by the wireless charger. There is no benefit in buying a higher powered charger when your device cannot accept all that power. Common charges delivered are 5W, 7.5W and 10W so make sure your phone can accept the charge. However, do not worry if you buy a higher or lower powered charger as it will still charge regardless. But wait, it doesn’t end here as the wall adapter also directly affects the wireless charger’s ability to deliver power. By using a stock iPhone wall adapter, you’ll get 5W of charging which would be lower than what an iPhone would be able to accept which is 7.5W. This means you will have to find a more power wall adapter like the 12W Apple wall adapter or the Qualcomm 2.0 or 3.0 wall adapter which will deliver up to 10W of charging. So check if you have the correct wall adapter beforehand or whether you need to buy an extra wall adapter. Why should I matter about design? 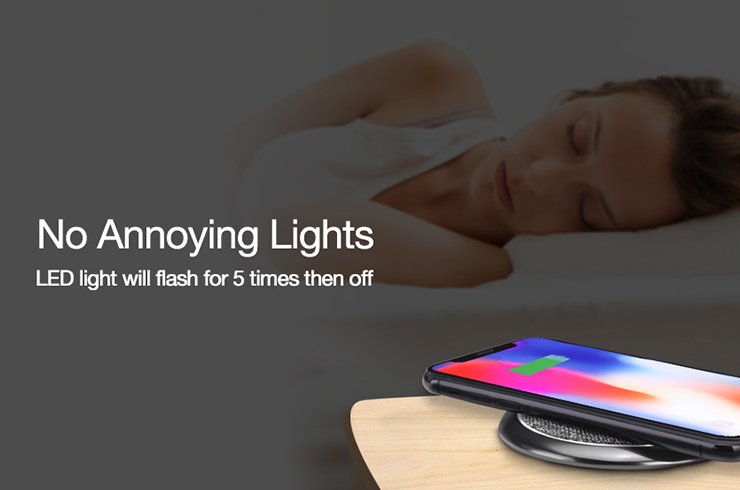 We highly recommend a wireless charger which does not have bright LED lights as it will be extremely hard for you to fall asleep at night. We suggest a design which has low soothing light and also turns off after a while for the duration of the charging to improve your sleeping environment. This will be most convenient when you’re using it to charge your device next to you before you sleep at night. For those that wants wireless charging but does not have this feature built into their phones, it is still possible to get wireless charging through other methods. There are many wireless charging add-ons which you can stick to the back of your phone and it will grant Qi Wireless Charging feature to it. Bear in mind that it will use up your charging port on your phone while it is charging. 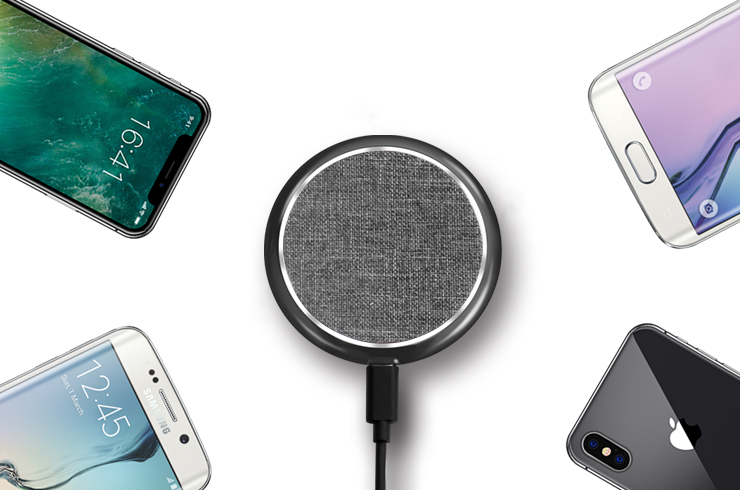 Simply picking up your phone and dropping it on the wireless charger is a luxury and extremely convenient! 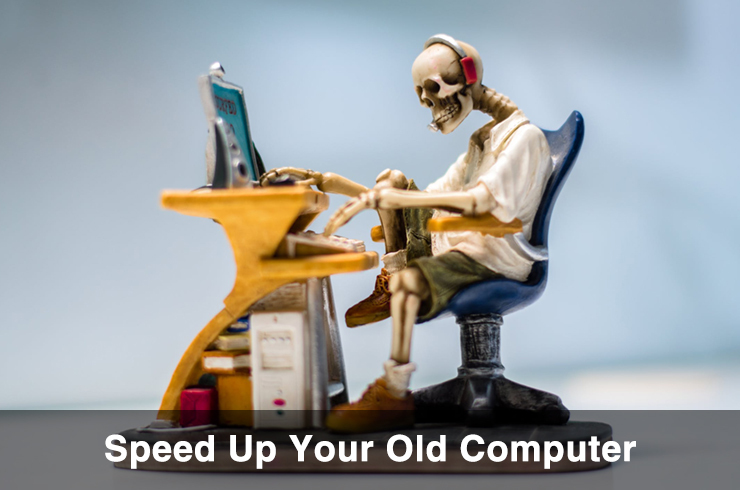 It will save you the hassle of finding the right cable or replacing them due to regular wear and tear from plugging and unplugging it frequently. Get charging now and happy wireless charging!